Positioning your business in the market place for the first time can take some effort. Here at WebOracle we have designed a package to help you get on your feet quickly by creating all the digital and brand touch-points that will speak to your new clients and customers. The True Start-up package has been designed to visually and digitally engage you audience as effectively as possible by creating freshness and balance for your service or product range. We know that all Start-ups are different, so we believe the best way to achieve a strong presence for you new business is to carefully understand what you are trying to achieve. Who your target audience is, how they engage, what do they like, where do they look, and what are the most effective ways to reach them? These are some of the questions we will help you answer through our briefing process which is designed to get the best of your ideas in front of your new audience. This should be the strongest part of your identity and one that sticks in your clients minds. Once we have identified your core values we can work to create the extension of Business Cards Email Signage and other important properties. These are a very important part of your business and have a strong visual impact on your customers. Your online presents will help you support and marketing campaign and build client relationships and hep build Brand Recognition. For further information on how we can help you achieve your goals call us on 1300 505 763 or email us here. 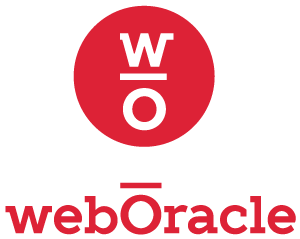 Once we have achieved your goals, WebOracle can help provide you with additional support throughout your journey.